How u all farmers and lovers of this game are doing out there. Here is our next post for FarmVille 2 Decorate a Holiday Tree Quest Guide . Keep us posted how you like this guide and what else you would like to see on the site in future. As always don’t forget to like our facebook page to get latest updates and share this post with all other farmville 2 friends. What would be a Christmas without Christmas tree? That is as expected, why FarmVille 2 has introduced two new quests which run around a Christmas tree. It’s divided in two sections; in first one FarmVille 2 players have to place and build FarmVille 2 Holiday Tree. Second part , ‘ Decorate the Holiday Tree ’ is interesting one and have 3 successive stages. Each stage has 4 missions each. You will earn a beautiful decoration for your tree on completion of each mission and you get an exclusive decoration after each stage. Every week of Holiday, FarmVille 2 is going to launch a stage and to complete this set of FarmVille 2 Quest, FarrmVille 2 players have 27 days. The interesting part about ‘Decorate the Holiday Tree’ is that FarmVille 2 players can play all missions of a stage simultaneously. 12 tasks in a week with ‘Overcommitted Marie’ quest, seems I am going to have a busy week. Oh yeah how can I forget, completion of entire decoration of Holiday Tree will get FarmVille 2 players an exclusive ‘Winter Clydesdale’ horse. 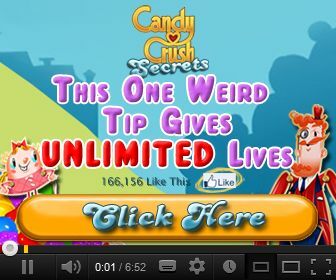 Sounds pretty exciting to me!! As this time only one stage of ‘Decorate the Holiday Tree’ quest, which is ‘First Week of winter’ Quest is launched, let us check out each mission of FarmVille 2 ‘First Week of winter’ Quest. To finish this mission all you need to do is Harvest 20 ‘Tomato’ which is 1-minute job as Tomato takes one minute to grow to its full. Feed 10 animals and perform 5 neighbor actions to complete this mission. FarmVille 2 players can save lot of time and feed by doing some planning as Mission 4 in ‘Overcommitted Marie’ quest also have a task for feeding 10 animals. To complete this task you need to craft 10 Apple Scones for which you need 60 apples, 30 eggs and 40 ‘wheat’. It depends how many apples you have in reserve and how many trees of apple you have in your farm will decide the time needed to complete this task as both Apple trees and Wheat take 4 hour to harvest. Each Apple Scones will earn FarmVille 2 players 640 FarmVille 2 Coins and 7 XP. On completion of this mission, FarmVille 2 players will earn a reward of 20 XP and 400 FarmVille 2 coins and one decoration for Holiday tree. To finish this mission all you need to do is ask your FarmVille 2 friends for Model Train Cars, feed 5 Rabbits and Harvest 3 Olive trees. On completion of this mission, FarmVille 2 players will earn a reward of 20 XP and 400 FarmVille 2 coins with one decoration for Holiday tree. After completion of first stage that is all four missions of ‘First week of winter’ the Holiday tree will look like as below. 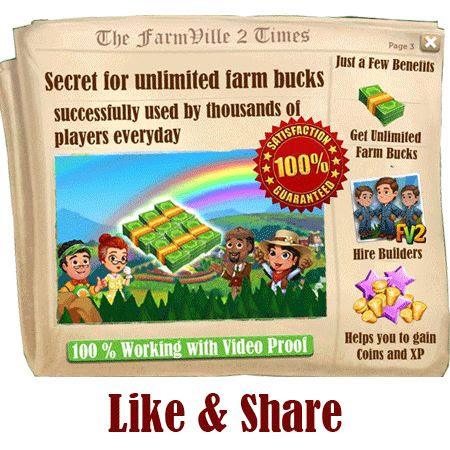 Do not forget to like us on our facebook page for upcoming farmville 2 cheats release which will help you get Fertilizer, Speed Grow and much more. We are really excited about this release and hope you all will love this upcoming release so till next post ciao and till then Keep Farming, Keep Sharing and Keep growing. When are you releasing second week. It is 12/12/12 Second week already. FarmVille 2 Game: Limited Edition Winter Holiday Items!